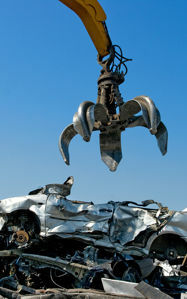 Automotive, Industrial and Demolition Scrap Metal Recycling! We have the capacity and equipment to deal with every scraping requirement or project from the individual to large commercial accounts. Turn your scrap metal into cash quickly and easily. We buy a wide range of metals from automotive core parts, to appliances, farm equipment and industrial scrap. We also buy all non-ferrous metals such as copper, brass, lead, and aluminum. We are a metal materials recycler. Please check our list of accepted materials. Scrap your vehicle here for quick cash. Review our salvage check list, bring in the vehicle. We are a metal materials recycler serving Columbus and Central Ohio. Materials we accept, services we provide. We offer comprehensive metals recycling and will purchase a broad range of scrap metals.